Not long ago, a co-worker asked me "If you were in a crowded room and someone yelled GEEK!, would you turn around?" Oh, ha ha, Funny Guy. Well yeah, maybe. But only because I totally own it. There's nothing wrong with having geek tendencies, you know. Ok, I will admit there may be a couple of drawbacks. My dog handling abilities somewhat overshadow my people skills, 'tis true. And I've never been a slave to fashion. That's sadly obvious to the general public as well. But I can do amazing things with Photoshop and that's a skill that that I wouldn't trade for any amount of cute shoes. And that fancy computer you're using to read this? I could take the thing down to individual parts and put it back together again, I could. And all you Gen Xers lamenting that your mom is on Facebook? Well kids, it was my generation that created the technology so you didn't have to tape your facebook pages to your school lockers. That's right, I'm that old. An aging geek, yikes. 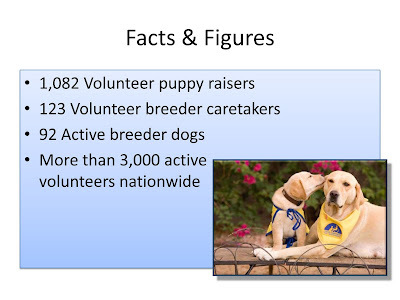 Then it hits me -- 1,082 puppy raisers volunteering for CCI. That's a lot of puppy raisers, now. And then I think, but how many people are there in the U.S.? A billion and two? No, that can't be right. Google tells me we've got us a population in the neighborhood of 310 million. I'm thinking we should be able to squeeze a few more puppy raisers out of that number. I know there's a lot of dog lovers out there. Micron and I meet you all the time during our outings. 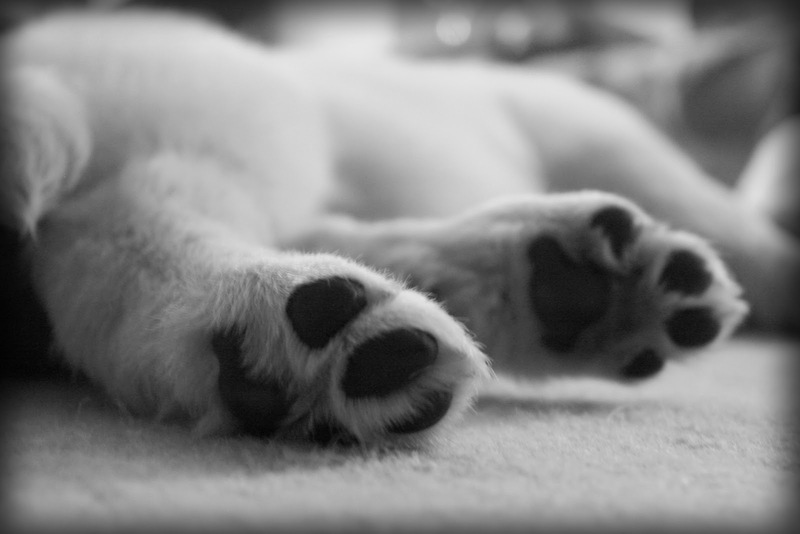 We hear your stories of the funny dogs you have, the beloved dogs you've lost. So, what are y'all doing for the next year and a half? Don't let anything I say bluff you; I'm only good with dogs because I love being around them. I'm certainly no expert in the ways of dog behavior, in spite of my inability to successfully interact with people. 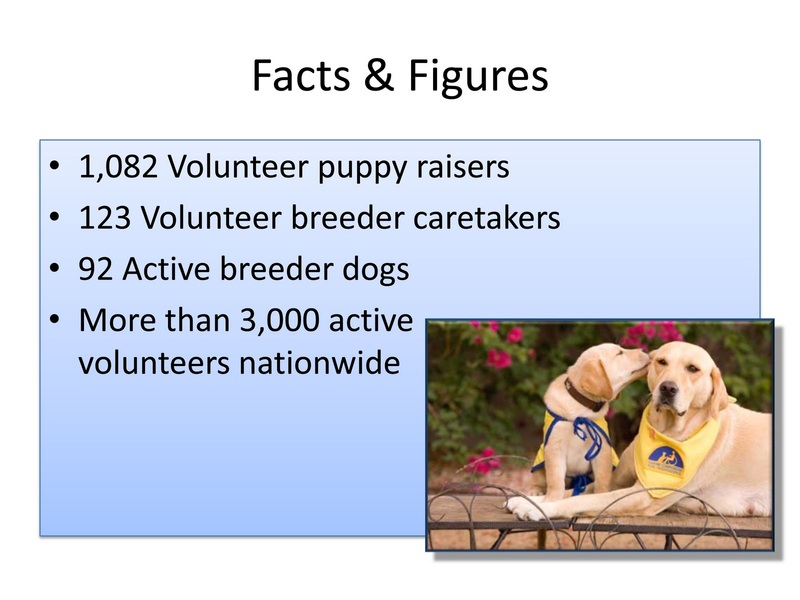 Let me brief you on the skills you need to be a volunteer puppy raiser. Do you love people and dogs? Wanna do something fun that will help bring someone independence? Well, there's a good start. CCI isn't looking for professional dog handlers to raise these dogs. Instead if you can offer a safe, consistent environment for these fuzzies and are willing to learn some basic training skills . . . and you have a big heart, that'll about do it. Oh, and that part about "giving them up?" No messing around with that. It is a hard thing to do. But you know what? It can be done. There's 1,082 of us doing it all the time. Some of us turn to a box of tissues and good friends at turn-in time. Others take that box of tissues and set them right next to our Margarita. I'll leave you to wonder which I am. Another confession for you. I'm living a blessed life and want to give back in some way. I may be about the age of fellow geekster, Bill Gates, but nowhere near his net worth. Philanthropy is not going to be my thing. Puppy raising for CCI is fun and exciting and best of all, something I can do. In my own small way, I can actually be part of something that will change someones life. How cool is that? Pretty darn cool, I say. In a prior life as a catechist, I taught a faith formation class for seventh grade kids. One of my favorite lesson plans for the Christmas season involved Julie Salamon's book Rambam's Ladder, a Meditation on Generosity and Why it is Necessary to Give. Ms. Salamon tells us about Rabbi Moses ben Maimon, a twelfth century physician, philosopher and scholar. Also known by his Greek name, Maimonides, or by an acronym of his full name, Rambam. I'll be referring to him here as Rambam as that's the title of the book and because it's fun to say out loud. Being knee-deep in the knowledge that seventh grade catechism students are newly self-aware and just realizing there's a whole world in which to get into trouble, I appreciated any opportunity to discuss ways they could make the world a better place. My weapon of choice was Rambam's Ladder of Charity. Now, I won't hold you for an hour in a classroom while you sit on a cold, hard plastic chair and be told repeatedly to keep your hands to yourself. We're all grown-ups here, so let's just hit the highlights. Rambam describes eight steps on the ladder, the bottom rung being "Reluctance: to give begrudgingly." That's when you give only because you feel you have to. It's a good thing, to be sure. But you can do better, he says. You can give cheerfully, but less than is proper. Or donate only after being asked. Next up is giving before being asked, but risk make the recipient feel shame. Moving higher is to give to someone you don't know, yet ensuring that your name is known as the donor. Even better though, says Rambam, is to give to someone you know, but you remain anonymous. Just a couple more; we've made it almost to the top. Next step up is to give to someone you don't know and to do so anonymously. So what's the top rung? What's the best we can do on this Ladder of Charity? That would be the Gift of Self-reliance. Julie Salamon describes this as a gift or a loan, or to find work for the recipient, so that they never have to ask for help again. She gives examples of helping someone find gainful employment or starting a business, as well as helping someone through an addiction. This is pretty powerful stuff and just a bit challenging to cram into a 12 year old's brain. But right or wrong, stuff it in there I did. So anyone seeing the connection to the work of Canine Companions for Independence? I do. 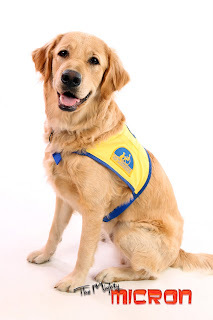 I'm seeing a non-profit organization that enhances the lives of people with disabilities by providing highly trained assistance dogs and ongoing support to ensure quality partnerships. An organization that provides a new level of independence free of charge. This twelfth century scholar certainly wasn't thinking about assistance dogs, of course. But I'm feeling the spirit of his intention is covered here. Hey, I'm no saint; just ask my mom. Just kidding, don't ask my mom, please. (Hi Mom, I love you!). But I'm feeling good about what I'm trying to do with this puppy raising business. As all CCI puppy raisers should. You know, you could feel good about this too. Think about it. Pray on it. Then call CCI and ask some questions on what it takes to be a puppy raiser. You'll love it, I promise you. Very Inspiring!!! If I wasn't already puppy raising I'd be convinced in a moment by that post! I love this post. Thank you very much from Julie Salamon, author of Rambam's Ladder, and devoted owner of a 3-year-old "puppy." I was at a charity dinner for the Challenged Athletes foundation a few months ago, and they quoted Bob Babbitt as saying, "If you're not impacting people, if you're not giving people the tools to do something for themselves, what are you about?" and I seriously got chills. It's the same concept and it still blows my mind that we get to be a part of that. This is a wonderful post, and I've read it several times. Thank you for writing it!